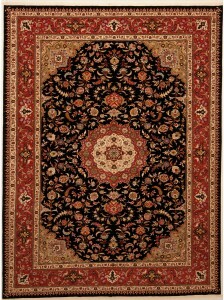 Most Persian rugs are made from 100% wool. 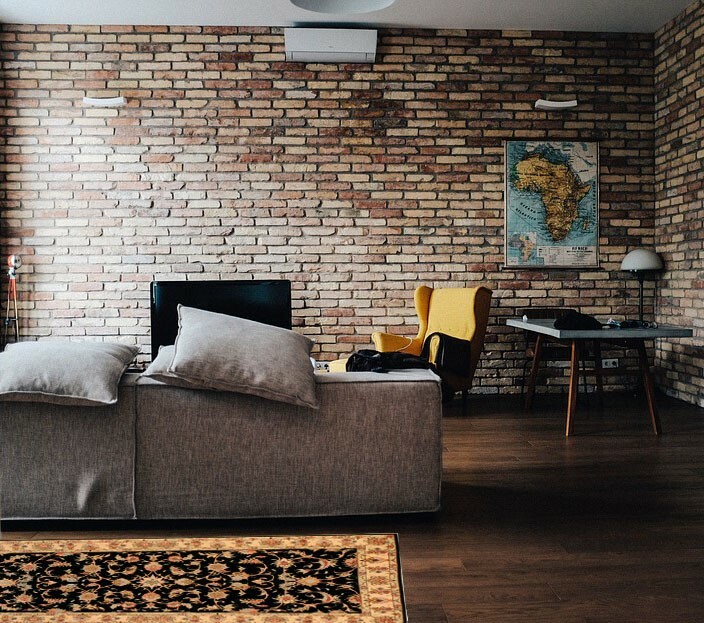 For a floor covering it is a natural choice, it is durable, easy to weave on a loom, can be dyed into many colors, and it is a readily available resource. 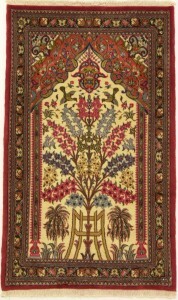 A small percentage of rugs woven from silk. Silk rugs are strong, but not as strong as wool. Getting silk, dyeing silk, and weaving silk is infinitely more laborious than wool. The tensile properties of silk make it perfect for weaving intricate designs. Silk rugs are so exquisite and finely made, that most owners display them on the wall rather than the floor. Due to the high cost of silk, silk rugs tend to be small, and or be made with a combination of silk and wool or silk and cotton. The rug on the left is one of the most expensive Persian silk rugs sold. It sold in 2008 at an auction house for over 4 million dollars. The rug on the right is a bargain in comparison. At 4×7 feet and pure silk, it is selling for under $7,000. The most critical aspect to consider when buying a silk rug is ensuring that the silk you are buying comes from the silk worm cocoon. The word “silk” is sometimes used for a material that is cellulose based, like nylon, rather than protein based. The difference in quality may not be apparent until years later when the fake silk deteriorates or needs to be cleaned. Well cared for authentic silk rugs often appreciate in value, whereas a nylon rug will fall apart. You do not want to wait 20 years to find out that you were sold an inferior fiber rug. Fine, antique wool can also imitate silk. 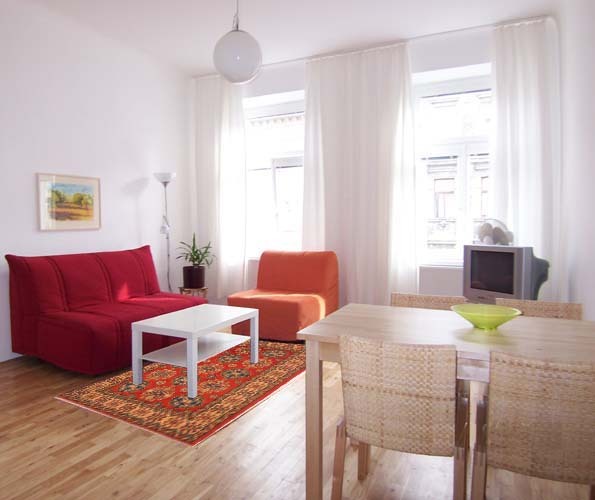 Wool rugs are durable, but silk rugs cost considerably more. Therefore, you do not want to pay for silk unless you are actually buying silk. Some dealers suggest a field test for silk by rubbing your hand on the silk. Supposedly, silk will generate heat, but nylon does not. Not even rug experts accurately perform this test. Others claim that if you pull a fiber from the fringe and burn it, silk will smell like burning hair and leave a distinct type of ash. The burn test is fairly accurate in distinguishing between nylon and silk. Since silk and wool are both made from animal protein, the burn test is not 100% reliable for determining if a rug is silk or wool. Do not trust the “rub test” or even the “burn test”. There is a chemical test that is very reliable, but don’t try it at home. You can actually dissolve silk in a solution that does not affect nylon fibers. A very practical alternative to silk rugs are fine wool rugs. By definition wool comes from the hair of mammal. Many different groups of people use different animals to harvest wool. Animal rugs could be made from goats, camels, sheep, even dogs. However, Persian rugs are almost all made out of sheep wool. Even within the category of sheep wool, there are many gradations of quality determined by several factors. Consideration 1: Was the sheep alive or dead? 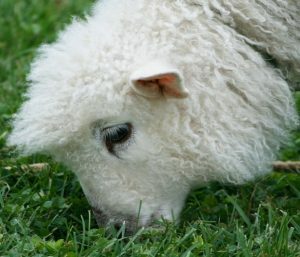 Wool that was harvested chemically after a sheep died is vastly inferior wool compared to wool sheared off a live sheep. The natural lanolin from live wool gets shiny and soft with age. Dead wool feels dry and brittle. Not only does dead wool not look as nice, it won’t last nearly as long. A true Persian rug, from Iran, is almost guaranteed to be live wool. Consideration 2: What type of sheep was it and where did the sheep live? Like any species that adapts to its environment, sheep can be vastly different depending breed and living conditions. Look at the difference in the wool with each sheep. The sheep on the left has finer, softer wool than the sheep on the right. The wool from that sheep will make a difference in how soft the Persian rug is. Consideration 3: How was the wool gathered and prepared? There are a variety of processes that can affect the quality of wool even when it all comes from one herd. 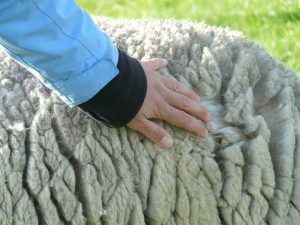 Combing the wool before turning it into thread, and using the wool from different parts of the body all affect the quality of the wool. The softest finest wool comes from the neck region and is thoroughly combed. Each region of Iran has its special wool varieties. Peshawar often imports fine, silky wool from other countries. Bakhtyari weavers, in contrast, uses the best wool from its own herd. Both regions are known to use very high quality wool. Before buying a wool rug, investigate the region that the rug comes from and the type of wool they use. Since Persian rugs are named for the region they come from, the research won’t be too difficult. 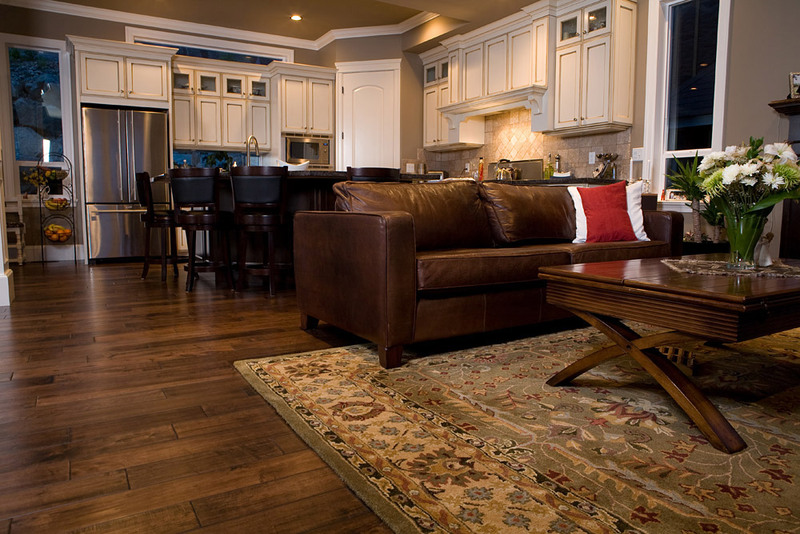 The vast rug encyclopedia found at our website is a great starting place. 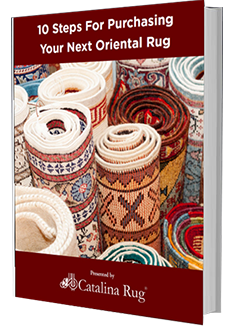 Here is all you need to know about Types of Oriental Rugs. Whether you are investing in a silk Persian rug or a wool Persian rug, you will end up with a great rug. Just make sure you know what you are buying.